Science, architecture or just casual design, whatever this table says to you it is a unique piece. It has a strong tempered glass top that is easy to clean and is appropriate for a casual everyday living space. A solid base makes this table sturdy, reinforcing the stand strength. Diagonal lines create movement and excitement. Make your room a reflection of the energy in you with this coffee table. 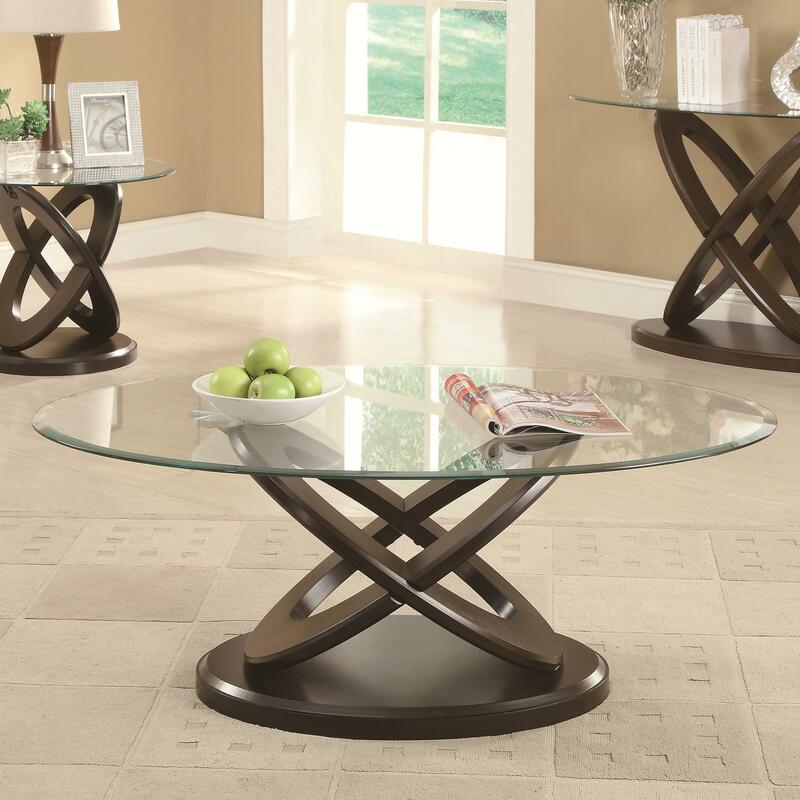 The Occasional Group Glass Top Intersecting Ring Coffee Table by Coaster from Nashco Furniture - Nashville. We proudly serve the Nashville, Franklin, Brentwood, Clarksville, Green Hills, Davidson County, Williamson County, Tennessee area. Product availability may vary. Contact us for the most current availability on this product. 702788B2 Coffee Table Box 2 1 0" 0" 0"
702788B1 Coffee Table Box 1 1 0" 0" 0"
This collection of occasional tables will create a strong impression. The bases have interlocking ovals which create a unique appearance. Strong tempered glass table tops lend a casual style and draw the attention to the base design. 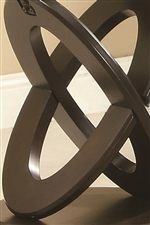 A deep espresso finish is versatile to fit with other room decor. Create a room that will make guests look twice because of the unique pieces and show your personality for a little fun decor. The Occasional Group collection is a great option if you are looking for Casual furniture in the Nashville, Franklin, Brentwood, Clarksville, Green Hills, Davidson County, Williamson County, Tennessee area.